Introduces new HAT definition as well so that it can be called a HAT yet is form factor of Pi Zero. uHAT is the term we will be using I beleive. 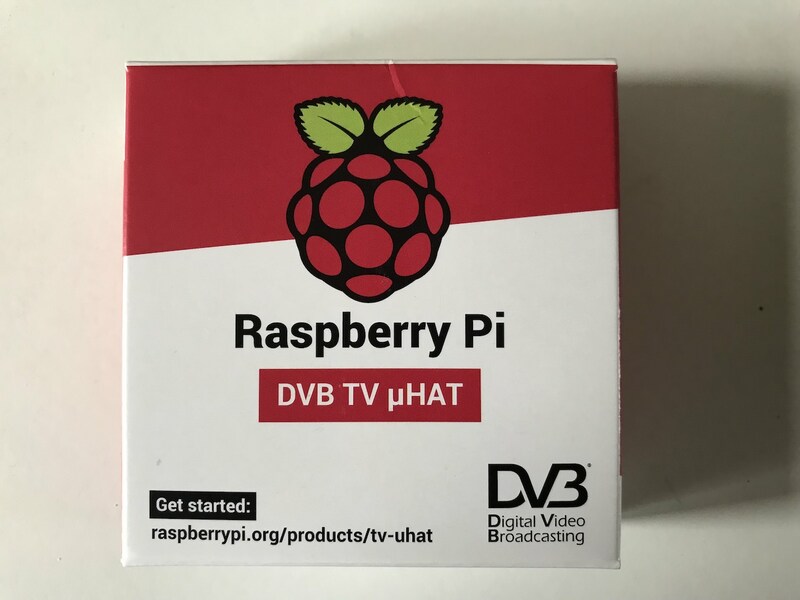 Its says "DVB TV HAT" on the boxes I got for my early support versions. It's "PHAT" shaped. One is sitting on my 3B+ with the WD HDD pretending to be a TV tuner. I just wish I could find out more about the Sony tuner and what it can do other than DVB-T by poking strange values into its registers. 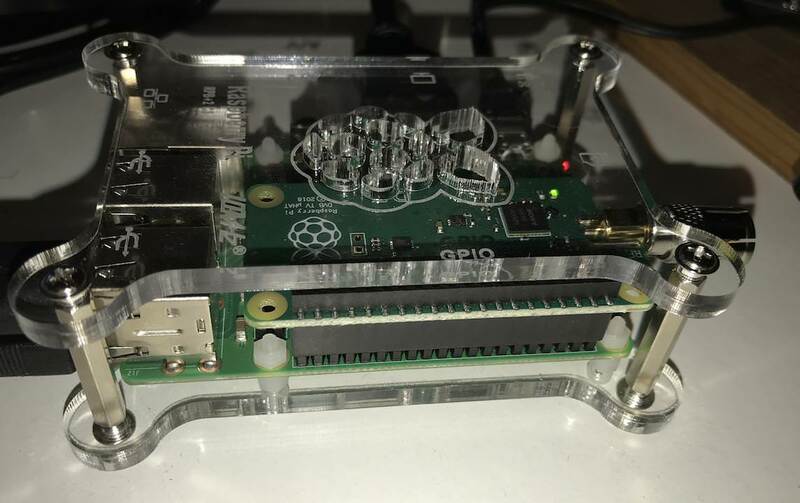 Ha, just ordered one myself, after getting an email alert from The PiHut, hopefully I can set it up OK when it arrives, never done it before, but they have an article about it as well - so between the two, I should be able to. It'll be great to watch recorded programs on any machine, not just my TV. The hardest part was finding the right Kodi plugin to install in Raspbian. The /boot/config.txt piece is there in the 2018-10-09 (or NOOBS 2.9) version. Set-up tvheadend with your local transmitter (UK-Hannington for me). Scan the channels (got 151 on a full scan). Then start kodi, configure kodi-pvr-hts with the "all powerful" userid/password you've set for TvHeadEnd and you'll be good to watch Jodie Whittaker from "Hoodezfield" (as the Americans subtitled it) as Doctor Who on Sunday. You do need a UK Broadcast Receiving Licence in the UK from https://www.tvlicensing.co.uk/ unless you're over 75 years old. The hardest part for me was grabbing the TV aerial lead while Mrs. L, was watching. Unfortunately my aerial fall off the roof a long while back and it felt like I lived in a FreeView deprived blind spot at the best of times. Looks nice though; a reasonable price and a perfect fit for the Foundation's educational goals. I wondered when they would bring that out, the rpi-tv overlay had been there since the beginning of the year, at least iirc. I guess some people will be looking at SDR capabilities, I've not read the release yet though. Can it do S2 or is it just T2 ? Has anyone brought out an easy to use Freeview/Freesat program yet. I so miss Windows Media Centre. I did not find anything useful in that respect when I looked. There is no documentation on the chip used I could find and no one else seems to have had any luck either. Just terrestrial but there was mention of the possibility of a satellite version in the future. I would expect that would be more expensive because of the need to provide phantom power to the LNB and there may be greater encryption issues to overcome to make it usable and useful. It makes sense that Sony who manufacture the Pi would partner with the Foundation to deliver products with their chips on-board so maybe we will see more of that. Hmm; do Sony produce ARM SoC devices ? We do not know if SDR is supported. 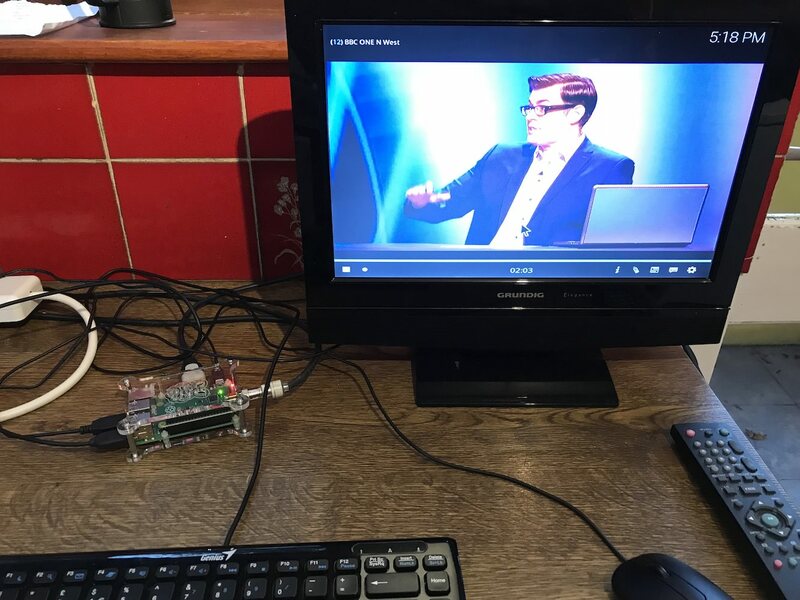 recieved my tv hat this afternoon, followed the tutorial on PiHut to set up Tvheadend but the hat seems to kill the Pi's wifi, when the hat is removed the Pi connects to the network no problem, happens with Pi0w and Pi3. haven't tried ethernet yet, need to investigate further, hope I've not got a duff. Nice photos, can you show the bottom of the board or how you put in on? 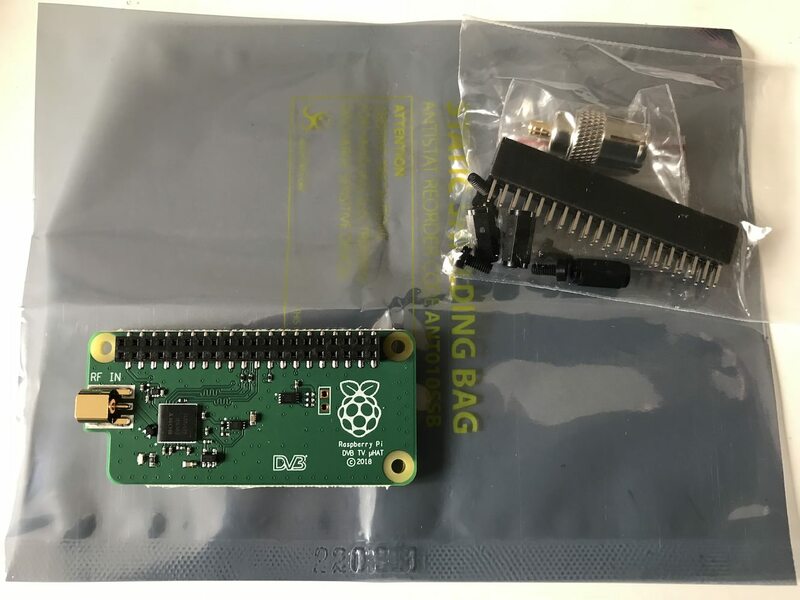 You attach the included 40pin header from the bottom pointing the pins up so they go through and mate with the TV board and then you put it together on top male Pi header? or can you put it directly on top of Pi male header without using that extra black pinheader? That sounds like a power supply problem. What are you using? Thanks, I'll make my way through the many many comments. S2 should be fine, they used to be the most common TV card/USB dongles. Encryption shouldn't be a problem either unless you are trying to get sky, there are far more free channels up there than on freeview. Even Channel4 HD who are having a hissy fight with FreeSat and removed the channel from the FreeSat line up can still be received off the FreeSat listings. https://www.lyngsat.com/freetv/United-Kingdom.html shows (most) the Free for UK, not all are for the 28.2/28.5 Astra (freesat/sky) direction. There seems to be a lot around the world too. Of course the joys of different standards around the world ATSC for USA ? All working with tvheadend and kodi, had to add my local transmitter muxes manually. Setup in the kitchen as thats our only Freeview aerial ! Anyone know of a remote control that will work with this? There's no support on the board for any remote. So anything you add is going to need extra hardware. Anyone know of a compatible remote control? Nice photos, can you show the bottom of the board or how you put in on? Anyone know what the two header holes are for ? Either try the CEC as mentioned above if connected directly to a TV. Or you mobile phone with a Kodi Remote app over WiFi etc. I've not used one though. So whatever that chip is for.